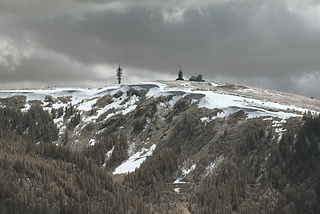 These days there has been unusually late new snowfall in the Black Forest, this new infrared image from the photolog shows how the Feldberg looked like yesterday with the fresh snow melting away in the late May sun. As you can see there is also still lots of old snow remaining and since temperatures stay low this will thaw slowly. For comparison: the following image of the same area (different perspective) is from about a month earlier (first of May) in 2007. 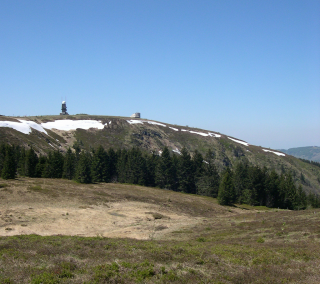 Usually the last snow on the Feldberg vanishes some time in June but this year it will most likely remain till July.